Jalops rejoice! For the thousands of you who complained about the 991 GT3 going two-pedal only, Porsche is reportedly working on a manual transmission-only “GT” model with a focus on “driver involvement” rather than track times, for the handful of you that can actually afford it. Porsche is developing what they call a “pure” 911 GT model, according to Autocar, that would be related to the GT3 and GT3 RS. However, this car will be for all the drivers who don’t care about how fast their Porsche can go around the Nurburgring, but rather want the most enjoyable experience possible from their 911. Unlike the GT3 cars, there will be no added aero bits for additional grip and skinnier tires, along with a chassis designed for better feedback will be used to ensure more dorifto goodness. 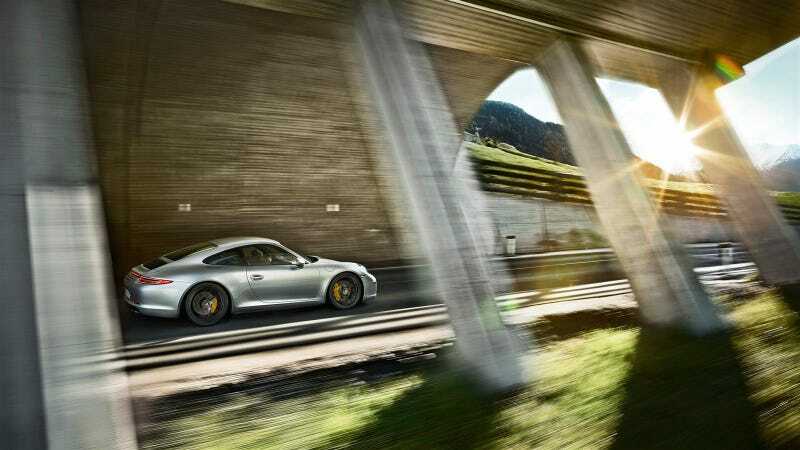 It’ll also mean the return of the manual transmission to the GT line since the 997 GT3. Considering that 997 GT3s are still selling for $130,000 and up, Porsche seems to think there is still a business case for a 3-pedal, driver focused model. As of now there is no word what the car will be called or when it will be built. Porsche has trademarked the GT5 name, but don’t expect that moniker to be used considering the “pure” GT model would technically slot below the track focused Cayman GT4 and 911 GT3 cars. You asked for it, and it looks like Porsche is going to build it. So clear out that retirement account, because chances are this car will be the better investment.